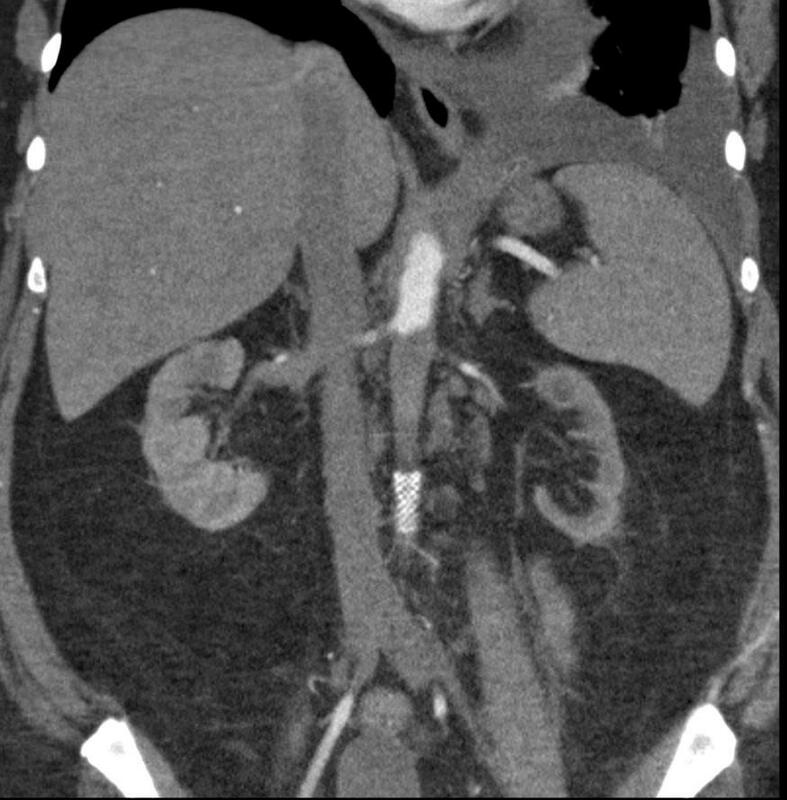 A 65-year-old man presents with buttock and hip pain, particularly during exercise. He has no pain at rest. He also reports having chronic erectile dysfunction. His past medical history includes hyperlipidemia and coronary artery disease. He has a 20-pack-year smoking history. On physical exam, there are bilateral diminished +1 femoral pulses. His ankle-brachial index is 0.6 on the left and 0.7 on the right.